Written prescriptions are available from this practice. You may obtain Prescription Only Medicines Veterinary, (POM-Vs) from your veterinary surgeon OR ask for a prescription and obtain these medicines from another veterinary surgeon or a pharmacy. Your veterinary surgeon may prescribe POM-Vs only for animals under their care. A prescription may not be appropriate if immediate treatment is necessary. You will be informed, on request, of the price of any medicine that may be dispensed for your animal. The general policy of this practice is to re-assess an animal requiring repeat prescriptions every 12 months, but this may vary with individual circumstances. The standard charge for a re-examination is £ 15.00 and the prescription fee is £16.00. Further information on the prices of medicines is available on request. 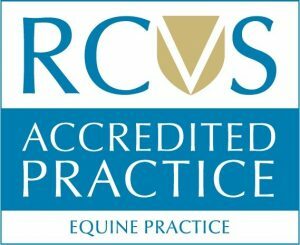 A prescription medicine check consultation can be performed if the horse would not otherwise have been examined, a consultation fee and visit fee would be chargeable – please contact the practice for details of current prices.